Discussion in 'Research News' started by Dhaval, Aug 26, 2013. Did you try sound enrichment soon after your onset? No. I was worried it would make it worse. No. I was unaware this might help. Yes. I tried but it did not help. Yes. I tried and it did help a little. It is argued that whenever there is an exposure to an unusual or unexpected loud noise the excitation somehow goes unmodulated or mismodulated... this causes the brain to loose or shift its tonotopic map. If there's been damage to the hair cells it can happen that the brain finds it hard to reorganize this map to its original state much like a graphic equalizer where the gain or output of each group of hair cells is finely tuned. It's further argued that when this happens your brain has a certain amount of time to repair this damage. If it is able to do that and reorganize the tonotopic map to its original or near original state, tinnitus decreases or can be abolished. Enriched acoustic environment after noise trauma abolishes neural signs of tinnitus. Enriched acoustic environment after noise trauma reduces hearing loss and prevents cortical map reorganization. So newbies. You may consider listening to some music (at low volume)... might actually help. I think sound enrichment may help some but as far as abolish tinnitus, I doubt it. I don't know anyone or have ever heard of anyone who's tinnitus went completely away because of sound therapy. It, along with CBT is more for coping with T than curing it. But a little music is always good. It helps relieve stress, makes you happier and breaks up the silence and the T.
I don't think they mean sound therapy. I think it's more to do with ones daily routine. 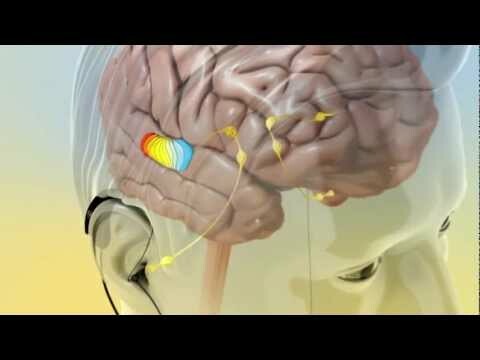 If it is true that the brain adapts to the sound around you. It would be good to keep a schedule like a normal workday and allow the ambiance to tell the brain how to reorganize. True it may not abolish tinnitus especially if theres been haircell damage. But this along with antioxidants might sure help those with recent onset. See if the supporting cells decide which haircell lives antioxidants might just support enough to retain some hair function thereby allowing time which will help the damaged cell become more rigid and less prone to further damage. Although only a consistent followup with some one attempting this like ACRN or NWN (and benefiting from) can determine whether it is true, my personal opinion is its probably our best bet. I also have this feeling perticularly for musicians or people whose tinnitus was music induced that if you have a perticular graphic equilizer setting you like it very well may represent your tonal map settings i.e. which group of neurons fire at what rate and how much of that input is to be interpreted as what intensity and what type of sound. I arrive at this simply by the fact that most musicians and music lovers like a flat balanced music composition (i.e. where the entire range of sound seems well balanced)....onset of tinnitus disturbs this balance and while reorganization takes place, generally after the onset we all tend to avoid this input hence the reorganization remains incomplete and thius even though tinnitus remains, over the years it decreases due to slow reorganization or a stoppage of reorganization. Hence it would seem habituation while seemingly good may actually impede resolution. now after the T attack, tonotopic reorganization occurs but we no longer have the above balance our brains use whatever input they get to reorganize and try and return to this base level. However since our lives change and theres no longer the same kind of input reorganization does not occur to the extent that is required and T may persist. 1. detect your current tonotopic map, by listening to some familiar music (probably your favourate songs)...try and use the graphic equalizer to achieve the best possible balance. 2. then slowly over a period of time say may be 3 months change the equilizer setting TOWARDS the one your preferred originally. If this approach works (HYPOTHETICAL OFCOURSE), your barin will in the process correct the gain on each neuron slowly to eventually reduce or eliminate T.
This alone would not address the problem though, cause theirs the question of the resting state or when the brain should not expect input, that i believe is governed by intensity of input, if our brain realities that input is no longer expected at particular frequencies it will not increase the gain on these channels thus not producing T.
So suppose you are sleeping with white noise on (Again with the same equilizer settings). At night while sleeping you should attempt to keep matching or just covering the T. and then gradually over time decreasing it for the brain to learn to accept lower input. @Steve and @Markku , what you say, any musicians around, please do comment. Appologies for the long post by the way. @Dhaval You raise many interesting points. I'll need the weekend to examine and think about your observations. At first glance, it sounds like your theory is similar to what CR Neuromodulation is doing, and they have published favorable results. Using music, such as the Heidleberg study, is another method to do this "reset." For many people, sound enrichment or sound therapy may prevent tonotopic reorganization. Below is a link to an interesting study with cats that demonstrates this point. But it is debatable how much change may occur once a person's auditory cortex has been damaged for a year or more, i.e., in chronic tinnitus sufferers. I need to review my studies, but I do not believe the improvement is as great. To abolish the tinnitus precept--and not just lower moderately, like thirty percent--I believe a two part approach may be warranted. First, you need to stablize the cochlea to lessen or stop the erroneous firing; and second, you need to stop the pathological firing in the auditory cortex. Hopefully, once you treat the auditory cortex, the other parts of the brain (brain stem, IC, prefrontal cortex, etc.) will slowly revert back to their normal state. Just some thoughts! Others may have different opinions. Please note that I do believe habituation is a non-auditory phenomenon. (Habituation occurs as a result of the non-auditory brain tuning out the phantom sounds in the auditory brain.) As such, habituation is a bandaid, which always makes relapse a possibility. What do you think, can a hearing aid with the proper settings help, sit in absolute dead silence with a configuration that amplifies your tinnitus frequency sounds then very slowly remove the amplification while the brain adapts. It would take quite some time though. @Dhaval That would be an interesting use of hearing aids! It sounds possible for people who only have one tone and who can identify it accurately. This is easier said than done. Regarding the cats, I presume the researchers used be some type of soft music or nature sounds. I doubt it would be white noise. White noise is hard for people to listen too all day and would probably stress the cats, who like soft sounds. I continue to be amazed how knowledgable people are on this board. Much of this goes o Ed my head but I do have one question: do any of the available therapies today deal with totnotopic reorganization vs. habituation? do any of the available therapies today deal with totnotopic reorganization vs. habituation? Most tinnitus therapies--hearing aids, Neuromonics, AudioNotch, SoundCure, TRT, etc.--are supposed to interact with and reduce the neural correlates of tinnitus, i.e., areas of brain overactivity caused by auditory damage. The treatment most focused on the reorganization of the auditory cortex, however, is CR Reset Neuromodulation. Despite rigorous testing--which still may be ongoing--CR Reset does have its detractors. Many people on this board report the therapy worsened their tinnitus. Because the therapy depends on accurate matching of your tinnitus tone, perhaps this worsening results from a mismatch. It's so difficult for many--myself included--to really know their tinnitus tone(s). It's so difficult for many--myself included--to really know their tinnitus tone(s). I would guess that as many as 50% or more of T patients who does not get any benefit from sound treatment that target their T frequency is due to mismatched T. I think that T should be match objectively with some bran scans to be really accurate. Expensive sound treatment like neuromonics should include this brain scan T matching service. By matching the T more accurately their success rate could be higher too so it's a good investment for them. Good point EddyLee. I went to 2 audiologists to match mine and could not. Brain scan prob would've helped me. @EddyLee Yes, I've also thought of the matching option. If this happens, it will be after therapies like Neuromonics get insurance coverage. If Neuromonics gets insurance coverage--again, unlikely unless larger trials are offered--insurers might develop a way to use fMRI's as an exclusionary criterion! I had a strange experience few days ago which i think might be related to tonotopic. About few days ago i take train to some place to meet my client and it was quite noisy with the sound of running train and the crowd inside. It's the first time i exposed to such closed noise level since i got T so i was a bit worrying. I got off the train later and then walk pass a noisy construction area. After i done with my client i decide to buy something at a shop nearby which is across the road and there is a lot of cars passing by and as i walk to the shop i suddenly feel a very slight dizziness for maybe a minute. I didn't bother about it and continue to buy my stuff and then straight going home with train again after that. On my way back to home i was thinking how will my T be today after so much noise. Surprisingly when i reach my room i cannot hear my T at all! I thought it was gone! I tried to plug my ear and it's actually still there just very very low i'll say 1-10 level it is 0.5. That was the lowest T level i have ever had! Sadly my T is back to my regular level which is about 2-5 after 2 days though. Wondering if this is tonotopic reorganization in the works! ?